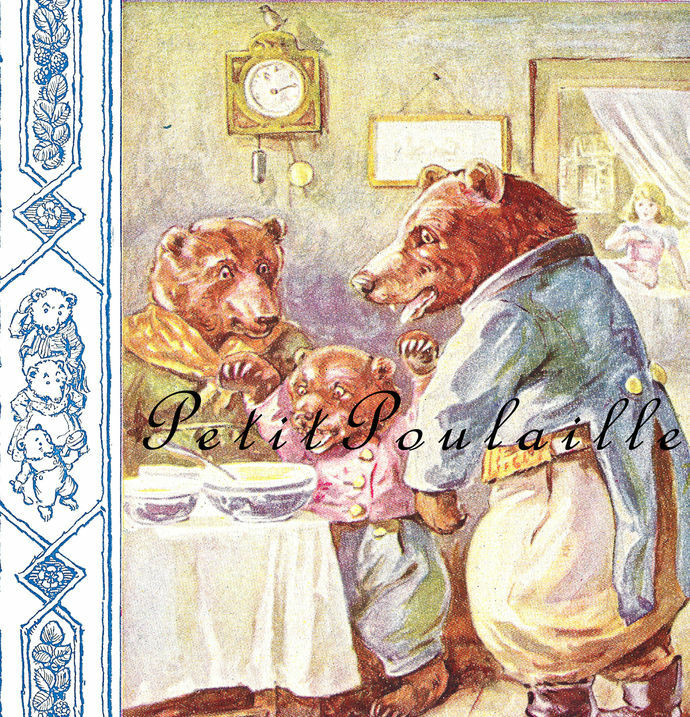 GoldiLocks and the Three Bears - a fairytale all children know and love! 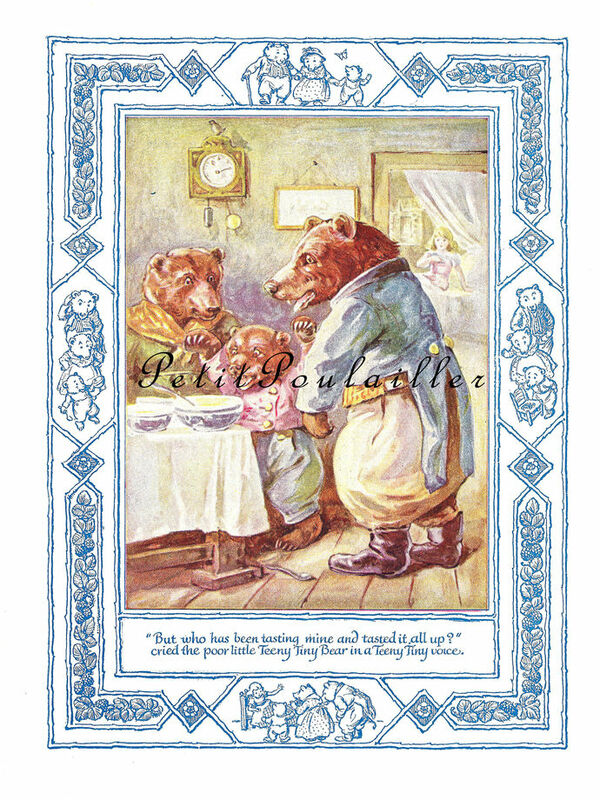 Here is a 1927 lithograph featuring the the Bear family wondering what the heck happened to their porridge. The culprit: Miss Goldie Locks in the background, just waking up from that comfy nap in that 'juuuust right' bed and realizing the jig is up! The unsigned lithograph, reprinted in 1927 from the 1909 volume, 'Childhood's Favorites and Fairy Stories', is fun and bright. The charming lithograph was gleaned from a 1927 collection of children's poems, stories, fables, and art. Blank on its reverse, the heavy paper measures 7" x 9.125" (18x23 cm), and is smooth and clean and without folds, marks, tears, or creases. The image is wonderful - perfect to frame for your little scallywag's room, wonderful for your art - card and tag creations, scrap-book page making, collage. You are purchasing an original 1927 paper and it does not have watermarks. I will send this to you flat, protected, and by USPS 1st Class Mail.